The prime duty of a husband is to provide adequate maintenance, protection, welfare and take overall responsibility of his wife. This is prescribed in Quran. This includes feeding, clothing and shelter for the wife and for any children from the marriage. This is a legally enforceable duty, which remains even after divorce until the expiry of the Iddah or even longer in the view of some of the scholars. Financial responsibility for the family therefore rests squarely on the husband, and the wife has no duty to contribute to family expenses unless she has the means and the wish to do so. 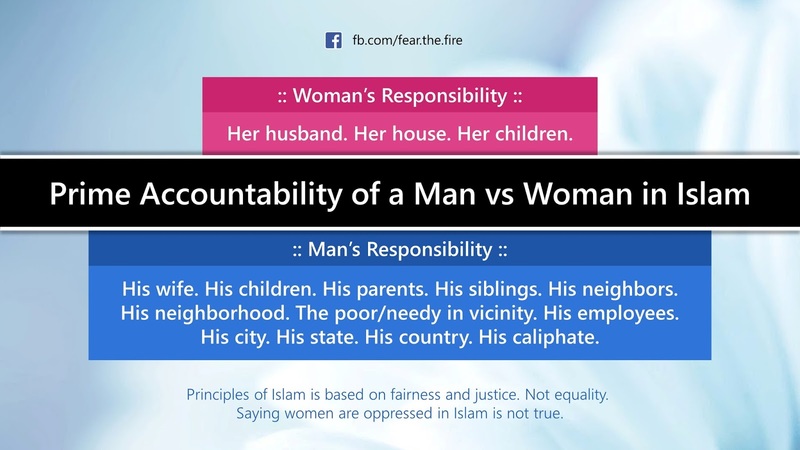 Here's the prime accountability of a husband and a wife in Islam. Once this is clear it is easier to understand why Islam gives a lot of emphasis to a man, the leader of the house, to do certain things in a certain way. Likewise, since a Muslim must emulate The Prophet (pbuh) it is important to know how the Prophet (pbuh) himself exemplify kindness and love towards his women. 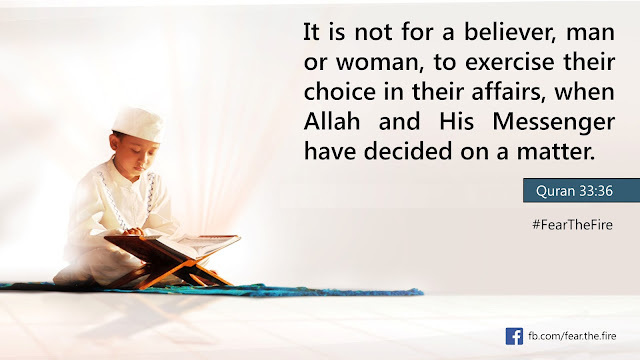 Firstly he (pbuh) was not at all difficult husband who regarded all household chores as “women’s work”. He (pbuh) used to serve his family and do household chores. He (pbuh) used to mend his own clothes. He (pbuh) didn’t make a fuss about food. If he (pbuh) liked something he ate it, and if he (pbuh) disliked it, he (pbuh) just abstained from it. The Prophet (pbuh) never complained about the food or how it was cooked. He (pbuh) indulged playing sports with his wife and demonstrated it as one of the legitimate entertainment. In illustration of this practice, Aisha (ra) records that on more than one occasion she and the Prophet (pbuh) ran races and sometimes she won and sometimes he won. Most men nowadays consider it far beneath their dignity to play any sort of game with their wives, and their marriages are the duller and poorer as a result of it. Aisha (ra) reported that whenever she was sick, the Prophet (pbuh) would come to her to show his sympathy. Nor, was he (pbuh) ashamed to let it be known that his love for his wife was greater than his love for any other human being. It is recorded in the hadith collections of Bukhari and Muslim that someone asked The Prophet (pbuh): "Who among all the people is most beloved by you?" He (pbuh) said “Aisha”. The Prophet’s (pbuh) attitude towards female children and female education is a beautiful elaboration of what is found in the Quran. The Quran not only forbade the practice of female infanticide, but even condemned the practice of showing disappointment or anger over the birth of a female child. See Quran 16:58-60. In another narration he (pbuh) preferred women to pray in their house. However if a women wants to go and pray in the mosque, she should be allowed to do so. 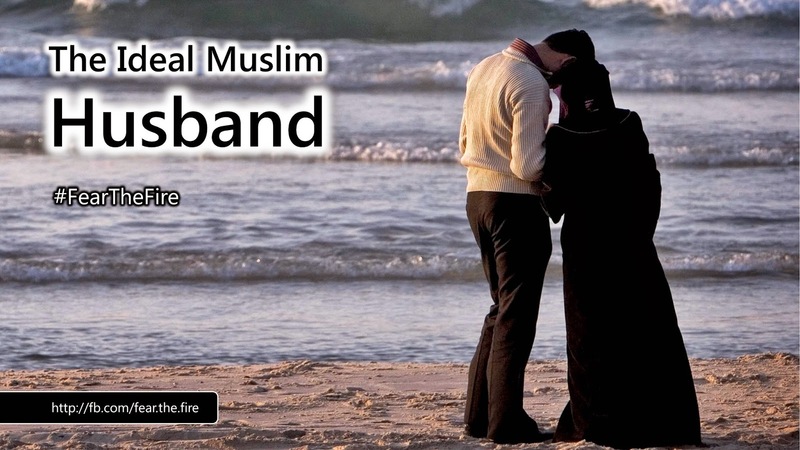 The ideal Muslim husband therefore does not impose restrictions on his wife greater than those imposed by Allah, or by The Prophet (pbuh) on his own family. All the foregoing indicates that the women who is married to an ideal Muslim husband is protected but not suppressed, and is therefore certain to be happy and contented. Ghirah is an Arabic word (Ghairat, in Urdu; opposite Be-ghairat) which means protective justifiable jealousy ― positive jealousy ― of a spouse against the other. 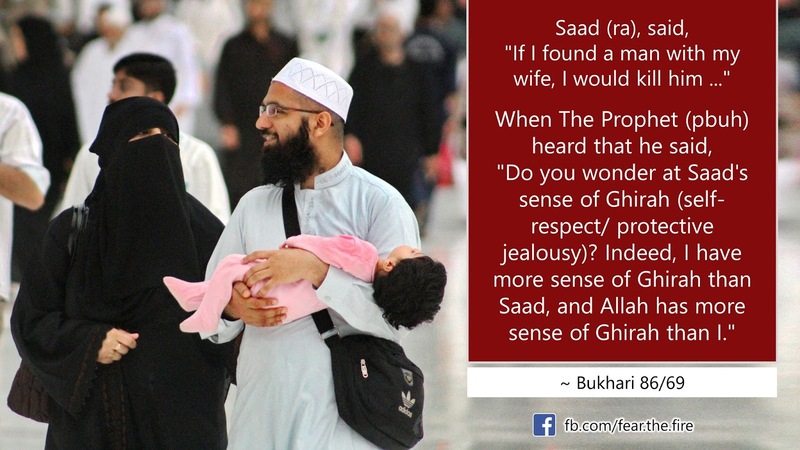 Largely in context of Ghirah it is the husband's protective jealousy over his wife, as you will read from Hadith below. In addition you will also realize that Our Prophet (pbuh) had Ghirah more than us, and Allah has Ghirah (towards his servants) more than The Prophet (pbuh). In short, Ghirah is a recommended noble character of a Muslim. Read our exclusive article on this topic here. In this respect a husband has a duty to ensure that his wife is fully educated as a Muslim. If this has been neglected in her parents’ home, he must take necessary steps to remedy it. Either by teaching her himself or by arranging for her Islamic education by other means. The husband is expected to give leadership in the family. We have seen that this form of leadership is not dictatorship or tyranny. The wise husband will consult his wife on important matters concerning the family, and if he sees her advice is good, accept it. However, Islam has given the man authority as the head of the family, and he is expected to abide by the Quran and Sunnah and endeavor to ensure that his family does not violate Islamic code of conduct and prescribed norms of behavior. >> More about the 'Men in Islam' here. While all of the above is imperative for a husband, the wife also has certain obligations towards the Lord of the Worlds. Click here to find out who are those women who are accursed in Islam - by Allah and His Messenger (pbuh). Why Ghirah or Positive Jealousy is good for men toward their women. 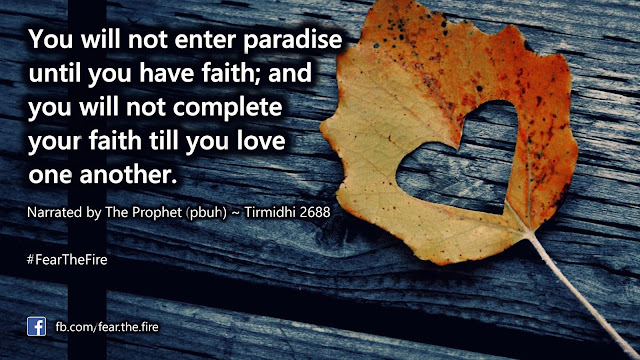 Major sins to avoid: Paradise assured. Helping humanity understand Islam better, and help them become a practicing Muslim. The caption 'Inch wide. Mile deep.' represents Hell Fire where many creation of Allah will remain in a confined terrible space forever. Hence imperative to #FearTheFire. If our approach, to get humanity out of the current mess, makes sense and you wish to be part of this endeavor then please join us on Facebook. Don't forget to spread the word. Peace! This work by FearTheFire is licensed under a Creative Commons Attribution-ShareAlike 4.0 International License. Praise be to Allah (Alhamdulillah). Since it is He who has guided us to present you this collection, we would like our content to be used freely by anyone who would like to use it on the web or in print. Thanks for attributing our work and carry the same principle forward under CC license. All images and text are copyright of their respective owners. They are leveraged for the educational purposes only and are not intended to be commercialised in any way. All possible errors on this site are mine due to limited understanding, and everything that's attributed correctly is due to the guidance from Allah — The Most Gracious, The Most Merciful.